Three great products! 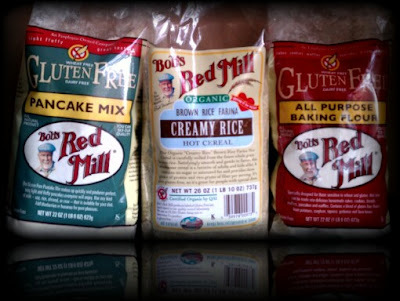 Gluten/Wheat free Pancake Mix, All Purpose Baking Flour from Bob's Red Mill All Purpose Baking Flour. 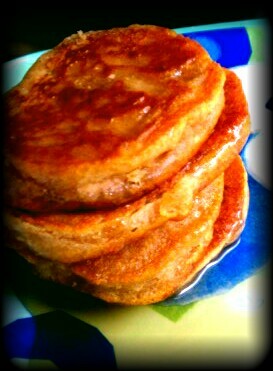 Pancakes..who doesn't like pancakes? I know we love pancakes in this home. Easy to prepare breakfast? Yes please! I was very interested in trying this pancake mix to see how it compared to others I've tried. It was different from the others I've tried, but very good. I liked specially that it wasn't so sweet. Easy to make, and easy to tweak to your liking. I made these without the egg because of my sons allergies and actually totally skipped the egg-replacer as well, because I was out at the time. And yet, they were delicious. I later tried them with the egg-replacer, didn't think it was too different. Adding more liquid and more oil/butter I learned you can make a thinner pancake, if that's what you like, I prefer thinner myself. Although I always make my pancakes thick and small, so that if my son eats two little pancakes, they were thick and nutrient full. One of the things I love about this mix, is that it contains sorghum flour, I enjoy seeing something my son can have that is different from always being made from rice, great to have any good added to his diet. 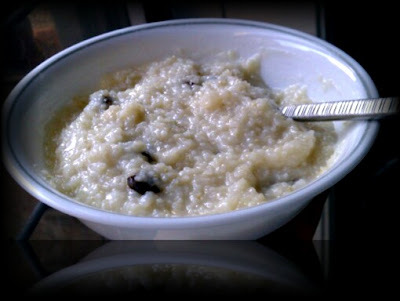 I grew up eating Farina, and to find one that my son can have..well you know, it's awesome! :) My mom would cook it with milk, and serve it up with some butter and sugar. This great organic mix could be enjoyed just the same, except I used allergy friendly alternatives. I was surprised by how great it tasted, and how it brought memories back with one simple bite. I have tried wheat/gluten free hot cereal before but this is my favorite!! :) Ours came out thick, but that can be tweaked with more/less liquid. We had it with a bit of honey, dairy free butter, and raisins..oh and hemp milk. Really, if you have a restricted diet, do give these a try! The All Purpose Baking Flour has been with us for a very long time. It was the first flour that we tried after learning of my sons food allergies. Ironically I don't use it to bake bake too much. I have used to coat food when frying various foods, used it in soup to thicken, used it in every way it works in place of a wheat all purpose flour blend. It is very different from flours I have tried, but great in its ways. Like every other, it works best if you know how to use substitutes while working with gluten/wheat free flours. I'm used to creating all sorts of foods with wheat flour, so it was a hard transition for me to see how you can't just mix in water and do anything. It is a whole different consistency, kneads differently, bakes/cooks differently. Also I'm not too good at measuring anything I use, I love to create, and as I create I don't measure. When I put salt/seasonings into anything I cook, I never measure, if I attempt to measure I will most likely mess it up. I literally sprinkle from container, and it works. Unfortunately when it comes to doing anything with allergy friendly baking, or cooking with flour it takes measuring to get the right consistency, so I am learning. I still take chances and do it my old way, and get lucky at times. You can see on my last Wordless Wednesday post, I made a bread for a little burger I made my son using the All Purpose Baking Flour mix, I made it on the pan as I do often. I also love this mix for it's ingredients, many great flour mixes out there but this one stands out for having garbanzo flour, potato starch, tapioca flour, sorghum flour, and fava flour. My son eats plenty of rice, I try to stay away from making his diet all rice. It's easy to do since many wheat/gluten free is made from rice, and then there's dairy free rice milk. I try to give him a wide range of ingredients in his food so he can get the most out of all he eats. 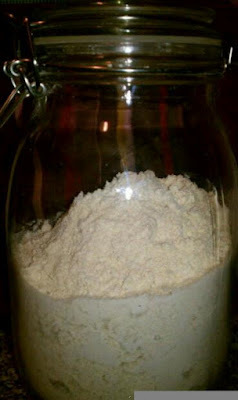 I always have this flour mix in my home, I use it allot, and really recommend it. "..We’ve even built a separate Gluten Free packaging division complete with specialized machinery to make sure that our products maintain their purity--just as nature intended. By going to these lengths, we’re able to ensure that folks with wheat allergies, celiac disease and gluten intolerance can trust that our products are safe to consume." Enter to win all three, use the Rafflecopter below, simply follow the easy steps. *I received items to review, all opinions are a 100% my own.